Oleg Slobodyan: Ukrainian State Border System reported about the lack of control over the border point "Izvaryne" in Luhansk - Life in Ukraine. Live, @ first hand. Ukrainian SBS said that it does not control the checkpoint “Izvaryne” in Luhansk region on the border with Russia. “No, there’s no control,” – Slobodyan said, adding that this border crossing was attacked by terrorists not tonight. “No, it is an old information. It (border crossing – Ed.) was shelled at June 21,” – said Slobodyan. We remind that journalist Yuri Butusov reported that as the result of the shelling part of the state border of Ukraine at the checkpoint “Izvaryne” was left unprotected. 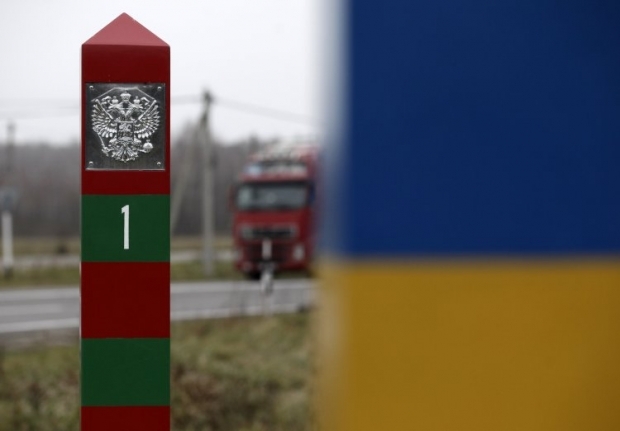 On June 20 National Security Council informed that Ukraine has established a mode of defense on the border with Russia, then president Poroshenko ordered the military to take control of the border. Share the post "Oleg Slobodyan: Ukrainian State Border System reported about the lack of control over the border point “Izvaryne” in Luhansk"